Spring is almost here, but before it arrives, it’s important to prepare your air conditioner for the hot months ahead. #1. Inspect the outside of your unit. Your air conditioner is covered with panels that are designed to protect and enclose the electrical components within. Heavy wind and other weather-related issues can cause the panels to become misaligned or missing. When panels are missing or misaligned, it puts your whole system at risk, and it’s important to have a professional take a look before you start up your system again. #2. Remove any lids, coil blankets or condenser covers. Did you put a lid, coil blanket or condenser cover on your unit to protect it during the winter? These covers can be very helpful for insulating and protecting the condenser coil in your unit during the winter, but they can also limit heat transfer, and if you start your unit while the covers, blankets or lids are still in place, you could severely damage your system due to overheating. 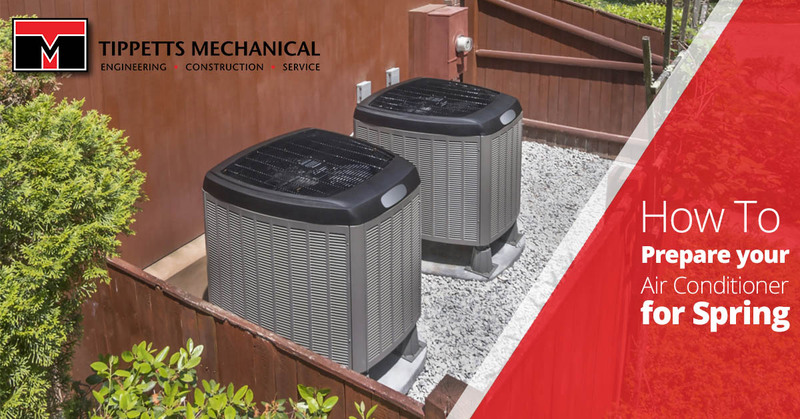 If you want to maximize your air conditioner’s efficiency, it’s important to ensure that the airflow throughout your home is consistent. Over time, your vents can become clogged with dirt and dust, and this reduces the airflow in your home. Before you turn on your air conditioner for the first time this year, make sure your vents are clean, cleared of debris, open and free of obstructions from the furniture and decor in your home. #4. Clean or replace the filters. As the go-to air conditioning experts in Las Vegas, we’ve gotten many service calls that could have been avoided altogether if the units had their filters changed or cleaned on a regular basis. This is one of the easiest, yet most important, maintenance tasks for any air conditioning unit. You should check your filters on a monthly basis, but replacing them is essential in the spring, because of the pollen in the air. #5. Ensure that your unit has plenty of clearance. Tree limbs and leaves, grass clippings and budding plant life can compromise your air conditioner’s airflow. As a good rule of thumb, your air conditioner should have approximately two feet of clearance on every side. Be sure to clear the area around your air conditioner of any debris before you start it for the reason. Following the above steps is a great start to preparing your air conditioner for spring. Stay tuned for our next blog to learn about a few more steps you should take, and please contact our experts if you would like to take advantage of our air conditioning services in Las Vegas!